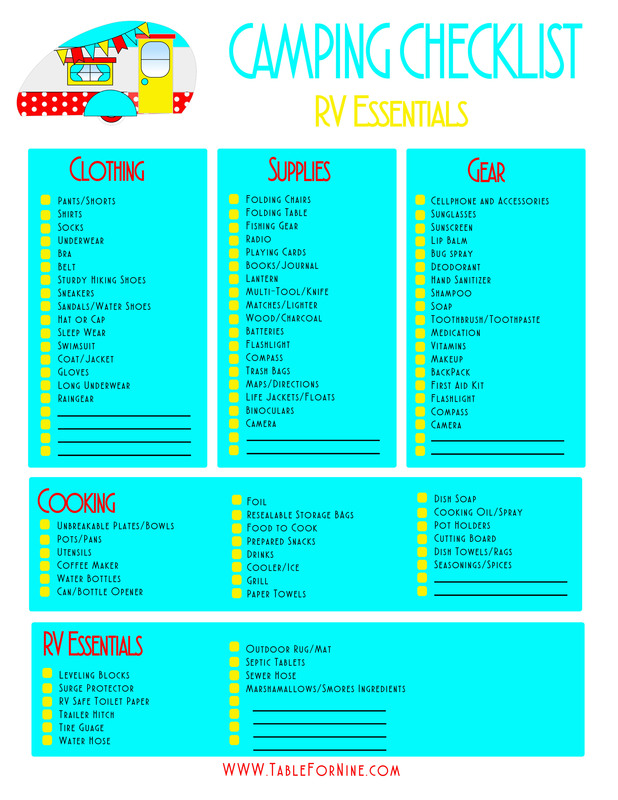 Anyway, I typed up a list to have when we vacation in our RV and thought I would share it. It’s a little different for us now since we are full timing it in our RV. Packing up to leave just means pulling in the slides and making sure nothing will fall on the floor while we are driving. But back before we were full timing it, we needed a list to make sure we didn’t forget anything. This list is pretty complete, but there are some spaces to add things that may be specific to your family. There will also be a few that you can cross off. If you are going somewhere sunny and warm, you obviously won’t need the coat and gloves. So just draw a line through the ones that you don’t need and make sure you have everything else. Do you know of something essential that’s not on the list? Please email me at michelle@tablefornine.com and let me know. I can add it on there. Make sure you have everything you need for your RV trip. Don’t go on vacation wondering if you forgot something. Because I’m a planner. No, not all those kids. But I do need a plan on how to feed them all. 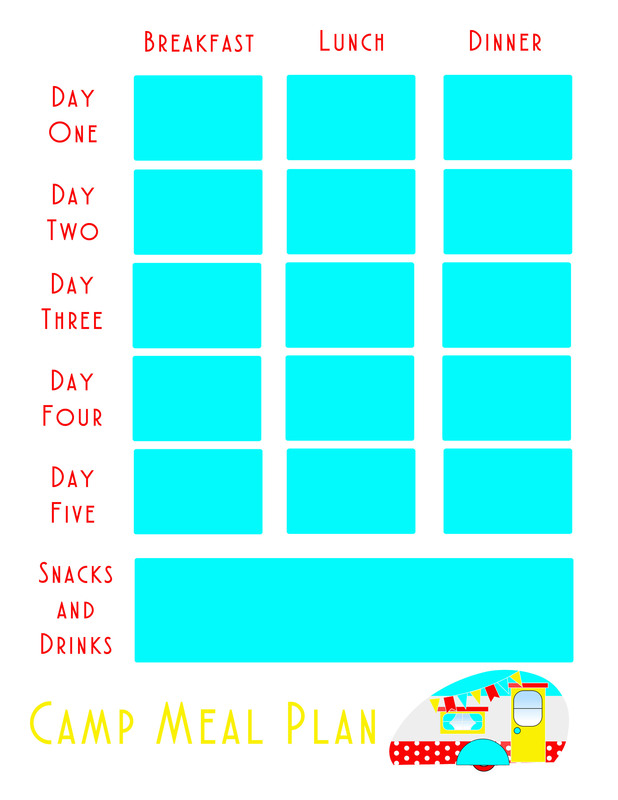 Here is the page I use to plan out meals and snack for my herd. I make lunch the biggest meal of the day so that dinner is easy. When it’s late in the day and everyone is tired, no one wants to do a big clean up. Also, if the guys are going fishing, we need something quick and easy so they can hit the water. Maybe we sub fish for the next day’s lunch. But I always have a backup meal. It’s called fishing, not catching.